The Delta Horse and the Po Delta, two Italian beauties we invite you to discover here, with us. Let’s start with the Delta Horse, the direct descendant of the ancient and beautiful Cavallo Camargue. The history of the breed was born in the early ’80s thanks to an entrepreneur from Ferrara who was very impressed by the perfect union between the Camargue Horse and its environment, the French region in the Rhône River Delta, and had the intuition to import a first group of horses of that Region, naturally males and females, to raise them in the Park Center of the Po Delta, a territory very similar to the Camargue but with a more luxuriant vegetation, favored by the humid heat, compared to the arid climate that characterizes the Camargue. Thanks to the great attention paid to breeding for the selection and the environmental conditions of the Po Delta, more favorable than the Rhone Delta, the Delta Horses descended from the first imported horses prove to be better in character and solidity of the limbs, in the skeletal structure and in the whole of the harmony of the horse. Thanks to these improvements, the Emilia Romagna Region established in 1986 the Regional Registry of the new breed of the Delta Horse. After this first important award, the Cavallo del Delta, with Ministerial Decree of February 2006, has entered by right among the Italian Equine Races referable to Local Ethnic Groups for which an Identification Register is required. Of its ancestor, the Camargue Horse, the Horse of the Delta has preserved the agility, courage, and resistance, essential qualities to be able to live in the harsh and selective environment of the wetlands of the Po Delta Park. Il Cavallo del Delta is a rustic saddle horse but docile and attentive, as you can easily guess from its sweet and friendly look, but it does not hide the pride of those who grew up in complete freedom in a non-easy environment. Thanks to its versatile and reliable character, combined with an excellent selection process and targeted training programs, the Cavallo del Delta is an excellent horse for recreational and light-weight riding as well as for the sporting disciplines such as the vaulting but it is above all with equestrian rehabilitation (hippotherapy) that there have been surprising results. Furthermore, the Delta Horse has attracted the attention of the agricultural and zootechnical world in areas where the exploitation of agricultural land is limited by unfavorable environmental and climate factors. Finally, the Delta Horse, confirming its great reliability and ductility, is also widely used in the equestrian shows of large and important national circuses. A curiosity: the coat is dark at birth and becomes light gray over a period of three years. Now let’s go to the discovery of the Po delta, a well protected by UNESCO as a World Heritage Site and Biosphere Reserve but first our advice: subscribe to our newsletter here. We will respect your privacy, you will receive our newsletter on the horse and its elegance with our advice on the most elegant places in Italy and you will immediately receive a 10% welcome discount for your first purchase in our online shop. Thank you. In Italy there is only one delta, the Po Delta, the largest national reserve of wetlands with a barrier-free outlet to the sea and has the function of conservation thanks to the presence of the three recognizable landscapes on a journey to the sea flowing from the ancient Delta to reach the coastal dunes and finally leave space for water in the active delta that is wedged in the sea. The current structure of the Po Delta is the product of the action of the river and of the most recent activity of man who nonetheless contributed to its structure. The branches of the river Po currently active and that together make up the delta are, from north to south: the Po di Maistra, the Po of Venice – Po della Pila that flows into the sea through three distinct mouths (Busa di Tramontana, Busa Dritta and Busa di Scirocco), the Po delle Tolle (with the branches of Busa Bastimento and Bocca del Po delle Tolle), Po di Gnocca or della Donzella (also with a terminal fork) and Po di Goro. A separate argument must be made for the Po di Levante which, although connected to the main river Po through the Volta Grimana basin, is hydraulically separated and does not incorporate the waters. In fact, following the imposing works of hydraulic arrangement of the Fissero-Tartaro-Canalbianco river, which occurred in the thirties of the last century, this ancient northern branch of the river was separated from the main course to become the terminal collector of the Canalbianco. Currently the Fissero-Tartaro-Canalbianco-Po di Levante system is an important waterway that allows the connection between the Adriatic Sea, the lakes of Mantua, Lake Garda and the river ports of the Conca di Canda and Torretta di Legnago. To the south of the delta the sea forms an inlet that, although not taking the name of the gulf, has all the characteristics. To end our journey the best way to visit the Po Delta is in navigation. For this there are many offers, some of which with lunch based on excellent fish on board! Thanks for the visit and we look forward to it soon. Every Your visit is particularly welcome but before leaving our site discover our Hand-Painted Jewels Collection. 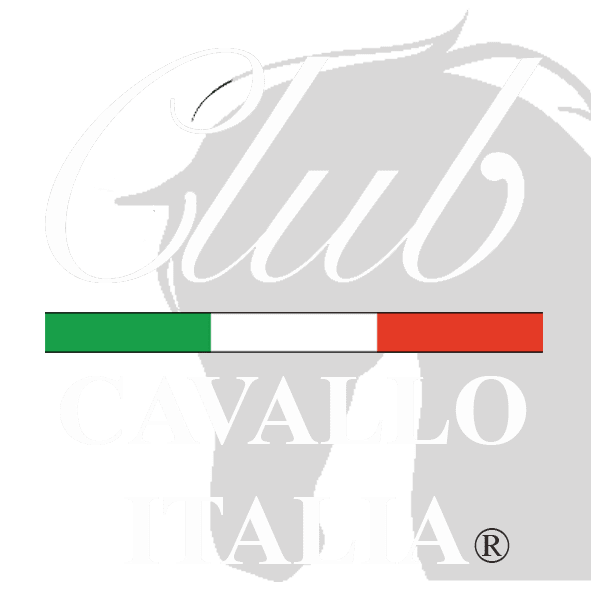 Just a moment, please: if you liked Delta Horse and the Po Delta send the page link to those who will appreciate it, we will be very happy and if you want to write us: info@clubcavalloitalia.it We always answer. Thank you again.